Calling ­– with awkward timing – the 1915 massacre of Armenians by the Ottoman Empire “genocide,” the German Bundestag has angered Turkey, a much needed, but difficult ally, as well as a sizeable part of the Turkish minority living in Germany. Was this really only about highlighting Berlin’s indirect responsibility for that atrocity? Turkey can’t stay out of the headlines in Germany. Last week the German parliament debated a resolution calling the 1915 massacre of more than a million Armenians in the Ottoman Empire “genocide.” The Bundestag vote was actually supposed to have taken place a year ago – on the centenary of the tragic events – but was shelved for fear of damaging relations with Ankara. Today that relationship is even more fraught, with Chancellor Angela Merkel’s eleventh-hour deal to stop the flow of refugees to the EU hinging on President Recep Tayyip Erdogan’s cooperation, who rules Turkey ever more autocratically. Merkel may have seen the symbolic resolution as a way of answering her manifold critics, who have accused her of abandoning democratic values and cozying up to Erdogan. 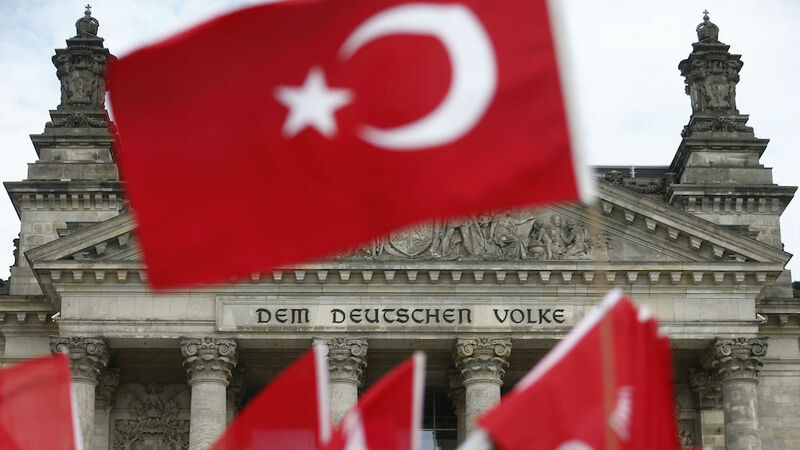 Merkel’s Christian Democrats, together with their Social Democratic coalition partners and the opposition Greens, sponsored the bill that drew noisy protests not only from official Ankara but also from Germany’s sizable Turkish community. When Merkel called Binali Yildirim to congratulate him on his new post as Turkey’s prime minister, he used the opportunity to lambaste the upcoming resolution, Der Spiegel reported. Aydan Özoguz, the German government’s commissioner on integration and of Turkish descent, complained to ARD TV that the vote would “shut doors” rather than open them. In the June 2 parliamentary debate, which really wasn’t one, one speaker after another backed the bill, arguing that Germany, as Turkey’s ally in World War I, carried indirect responsibility for the fate of the Armenians. “We submitted this bill not because we feel morally superior or want to meddle in others’ affairs, but because this is also part of German history,” said Greens leader Cem Özdemir, the son of Turkish immigrants. The Left Party’s Gregor Gysi rattled off a list of countries that had already passed similar resolutions and skewered Merkel, Vice-Chancellor Sigmar Gabriel, and Foreign Minister Frank-Walter Steinmeier for skipping the vote. The resolution passed almost unanimously, with one “nay” and one abstention. The first official responses were more muted. Yildirim relativized the Bundestag resolution by pointing out that only 250 of 650 MPs had turned out for the vote. “No one should expect a full worsening of our relationship with Germany because of this kind of a decision,” he said, according to Hürriyet Daily News. Erdogan, traveling in Africa, told Turkish media that the genocide bill was of “no importance.” He said that Turkey was the target of a German conspiracy and wondered aloud why Merkel couldn’t control her own party in parliament. “Acting in anger is unworthy of us,” Daily Sabah quoted Erdogan as saying. He appeared to separate his bilateral beef with Germany from the refugee deal, which was agreed in March between the EU and Turkey. The Turkish president also questioned the timing of the Bundestag resolution. In a poll commissioned by ARD, 46 percent of Germans seemed to agree with him, saying they couldn’t understand why German politicians were occupying themselves with the mass killings of Armenians 100 years ago. But 74 percent still supported the wording of the bill, and 91 percent said they didn’t consider Turkey “a trustworthy partner,” up 12 points from April. If the Armenian resolution was a ploy to distance Merkel from Erdogan, then nobody appears to have consulted Defense Minister Ursula von der Leyen. According to Der Spiegel, von der Leyen now has to fret about a planned expansion of Germany’s presence at Incirlik Air Base and the NATO naval patrols fighting human traffickers off Turkey’s coast. With their Armenian genocide bill passed, Bundestag MPs have inadvertently drawn attention to another forgotten atrocity: the mass killings of the Herero and Nama peoples in German Southwest Africa, present-day Namibia, at the beginning of the 20th century. “A recognition of German colonial crimes must follow if we don’t want to strengthen the accusation that this is actually cheap Turkey-bashing,” historian Jürgen Zimmerer wrote in Die Tageszeitung (taz). The satirical Heute Show picked up on the subject, lampooning German MPs who in the past have rejected recognizing a “genocide” of the Herero and Nama peoples because of possible reparation claims. “At least for the Turks it’s about honor, while the Germans just want to save money,” said comic Christine Prayon. is an editor of Berlin Policy Journal. He also writes for Reuters, Slate, and VICE News.